if you use a feed reader to check up on what’s happening in my life, you won’t have noticed the shop link that’s appeared in the top right-hand corner of my site navigation. there wasn’t any fanfare as i have always found it uncomfortable being in the limelight. since i’ve had people asking to buy prints from my recent travels, a shop was necessary. 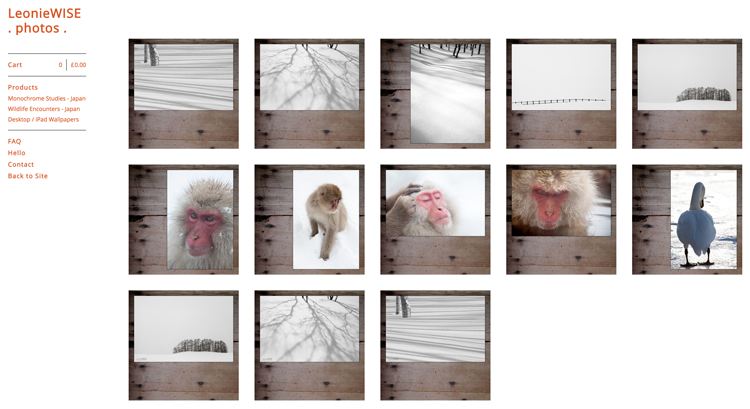 i’ve put just a few of my favourite photographs from my travels in japan in my little shop in various sizes and on two different kinds of paper. it’s only ever going to be a small selection of items and they will change based on what people are buying – if there’s something from my journal that you’d like to see listed, please let me know. This entry was posted in a book of days and tagged shop. Bookmark the permalink.